Imagine a world in which you can approve a legal contract as quickly and easily as a Tap and Go EFTPOS transaction. Sound outside of the realm of possibility? You might be surprised. In next week’s Professorial Lecture, based on his published work, Professor John Hopkins takes a closer look at the increasing cost of legal advice, the excessive formality of the legal system and whether the rise of Artificial Intelligence (AI) and Blockchain (a subset of distributed ledger technology (DLT) will see the extinction of the legal profession as we know it. We encourage all staff and postgrad students to attend this Professorial lecture and learn more about this imminent advancement in the legal field. UC has a policy on how staff are to report ‘serious wrong-doing’ (as defined by the Protected Disclosures Act 2000) and how those handling a disclosure are to behave. A protected disclosure offers employees some protection, in certain circumstances, from detrimental actions or consequences of reporting serious wrong-doing . Our policy on this is called Protected Disclosures Act -Internal Procedures and Code of Conduct, which is available via the UC Policy Library. This policy is currently under review, but staff should still note its existence. Any enquiries on the policy are to be directed to the Acting Registrar, Bruce White. What does the experience of international students mean for teaching? UC Teaching Month is a series of workshops that allow staff the opportunity to further their professional development, by picking up a variety of skills and tips for use in the classroom. The first workshop will be presented by keynote speaker, Associate Professor Shanton Chang. Assistant Dean (International) from the University of Melbourne, Assoc. Professor Chang will be talking about how to incorporate cross-cultural teaching and communication in a diverse classroom, a topic of increasing importance here at UC. As Vice-Chancellor | Tumu Whakarae Rod Carr explained during the last VC Staff Forum, cross-cultural teaching is consistent with both our changing student body, and our student attributes, to ensure our graduates have better global awareness and can better connect with diverse or multicultural communities and societies. Having presented at UC previously, Assoc. Professor Chang said staff interest and a genuine concern for understanding and learning across cultures left him inspired. “I am looking forward to talking about and providing new perspectives on the experiences of international students, and what that means for teaching and learning.” Assoc. Professor Chang explained. 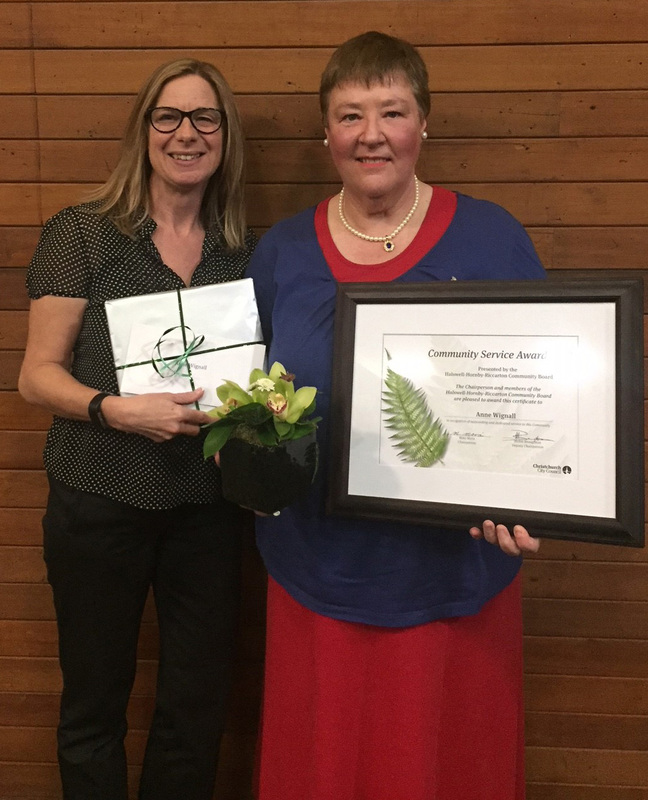 UC alumna, Anne Wignall received a Community Service Award from the Halswell–Hornby–Riccarton Community Board on Wednesday for her outstanding support of UC’s Pukemanu-Dovedale Centre for Child and Family Psychology. Anne, who graduated from UC in 1981 with a Science degree, also volunteers at the Archer Retirement Village helping residents. In addition to kindly donating to the Pukemanu-Dovedale Centre, Anne is in regular contact with staff on how further fundraising can make a difference and helps to seek additional gifts. She also spends time mentoring and providing encouragement to student interns working at the Centre. Alumni and UC Foundation Director Jo Dowling says that Anne has had a positive impact on the Pukemanu-Dovedale Centre. The Pukemanu-Dovedale Centre for Child and Family Psychology is one of the five causes that the 2018 Annual Appeal is supporting. Find out more here. Below: Alumni and UC Foundation Director Jo Dowling with UC alumna and supporter Anne Wignall. Staff and students are welcome to tour the Emergency Operations Centre (EOC) on its upcoming open day, to get a sense of how emergency management operates at UC. Access via the bridge and walkway near UC Security and the early childhood learning centre.